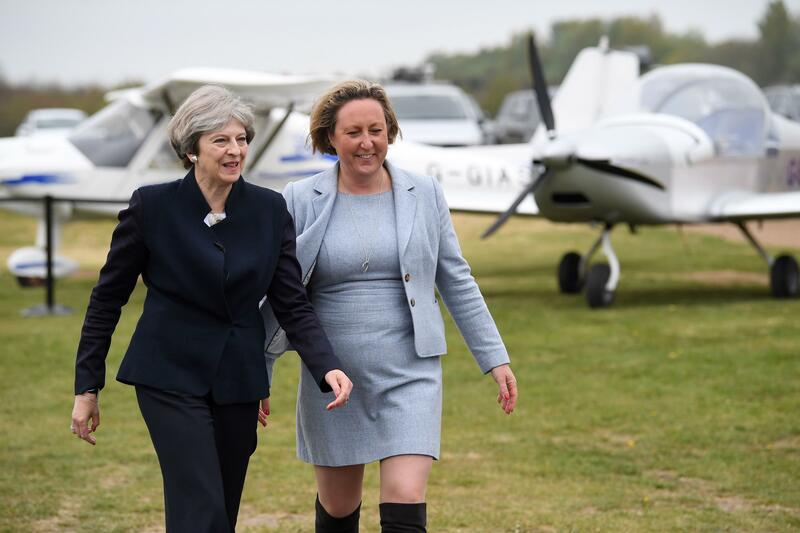 At a session of Prime Minister’s Questions, Theresa May responded to a call for action over the ongoing situation at Eshott Airfield in Northumberland. Local MP and member of the All-Party Parliamentary Group on General Aviation, Anne Marie Trevelyan, raised concern that authorities have not acted to protect safety at the airfield after a neighbouring landowner erected a barrier of hay bales at the end of the runway. She said that Eshott “is a small business that is continuing a long history of general aviation on that site ever since the airbase was built during world war two as the home for one of the largest Spitfire bases. The Prime Minister responded by agreeing that safety in aviation is “absolutely paramount”. She said “The Minister [for Aviation] will be writing to my hon. Friend as soon as possible, but I also know that the CAA has been in contact with all parties involved. She is right to raise this important issue and urgent action is being taken”. The 220-member strong All-Party Parliamentary Group on General Aviation has also pledged to support Eshott Airfield. Chair of the group, Grant Shapps MP said: “We continue to work with the fantastic local MP, the airfield and authorities to ensure a quick resolution to the problems at Eshott”.